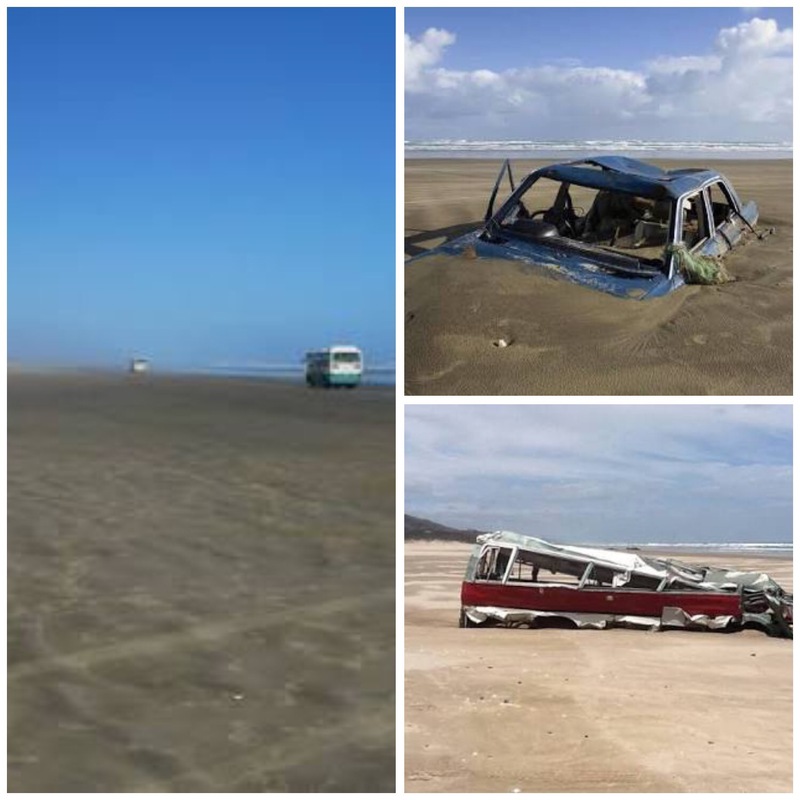 We left Uretiti early on Friday morning as we had an unexpected trip to make to Kaitaia. It was one of those amazing blue sky days with nary a cloud in sight and with light traffic it should be a pleasant trip. Back track a day, on Thursday my niece Natalie and nephew Stuart called in with their uncle and cousin on their way north, it was great to catch up with them all. We would be seeing them all again tomorrow. Yep, a not a photo taken, too busy gasbagging! Back to Friday. We planned a quick, very brief stop in Kerikeri to drop off a couple of books to Roy’s cousin Stuart, books that were given to us when we were researching family connections in Mendrisio Switzerland. And it was a very quick stop, sorry Stuart, but we hope you enjoy browsing the books, until we meet up again soon. 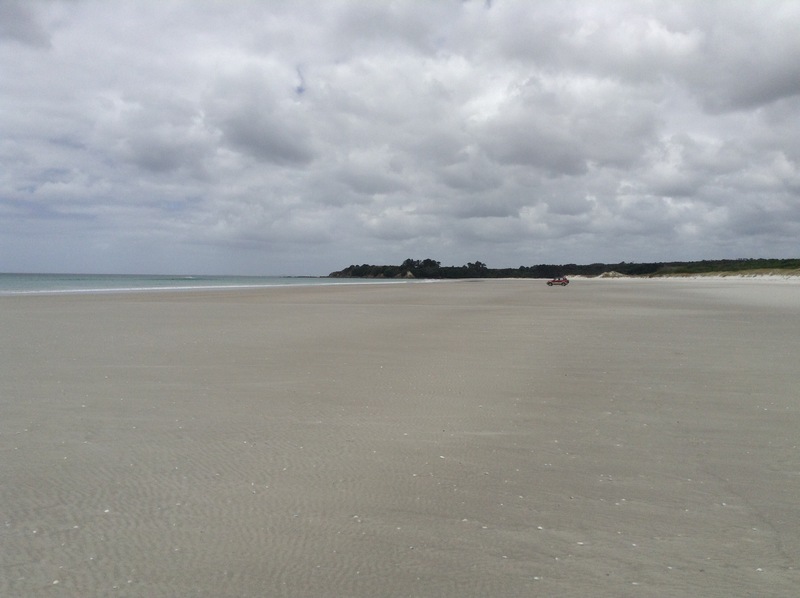 As we passed along the coastline through Coopers Beach, we could see that the seas were flat calm and Doubtless Bay was a picture. You will have to take my word for it as I was too busy driving to take any pictures. We arrived in Kaitaia just in time. We were here for the funeral of Beryl Lunjevich, my late sister-in-law Ann’s mother. She passed away on Wednesday 13 June reaching the ripe old age of 97 years, 9 months and 3 days!! She lived a long, fruitful and eventful life. Although a sad occasion, it was lovely to catch up with everyone in the extended family. It’s time we started our journey south ready for us to take up our camp hosting duties at Shakespear park for the summer. We were due to leave Rarawa this week, however on Monday we were told that we had to leave that day as DoC were about to start their latest assault on the Argentine Ants (See previous post). But before we left we thought we would have one last fish off the beach. Not too many fish were harmed in this exercise. 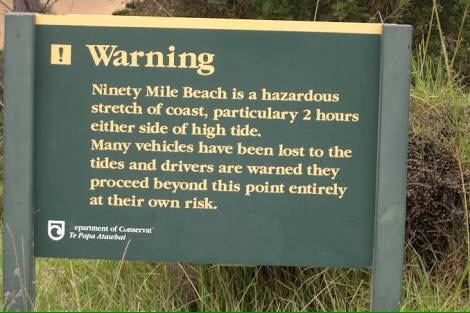 From Rarawa it is a short 60km journey into Kaitaia, as we had also heard that our brake parts had arrived. However through mutual agreement between Roy and Kaitaia Tractors, they are not fitting the part this time. We have ordered a matching part to come from the USA, and the pair will be fitted early next year after we have finished at Shakespear. Meanwhile, we are assured everything is safe and we are good to go. So now we shall meander our way down to Auckland, stopping off at a few selected places along the way and endeavour to get ourselves into the Christmas spirit. Thanks Northland for a wonderful few months, we shall be back soon. No, we are not creatures of habit, really, truly, even if it seems as though we are heading back over familiar ground. But we do seem to drift around this region quite regularly, anyone would think that we quite like it around here. 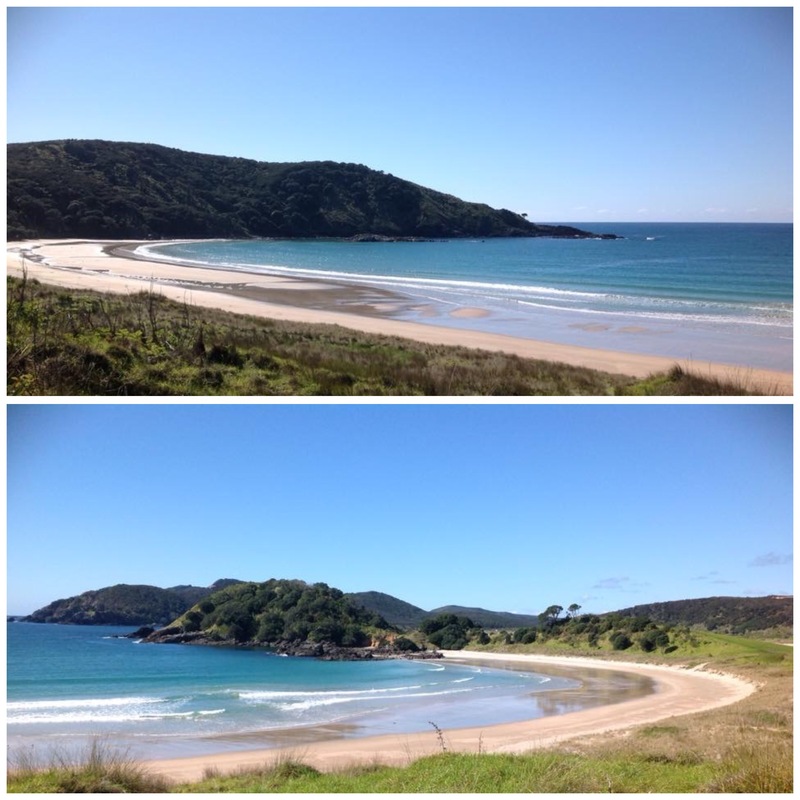 Our two weeks at Matai Bay was nearly up, which meant it was time to move on. On the Sunday afternoon, with heavy rain forecast overnight, we thought it may be judicious to move from our position on the far side of the camp to nearer the exit ready for our scheduled departure on Wednesday. With that in mind and with their usual due diligence, Roy and Pat spent the next 40 minutes or so walking around the prerimeter of the camp, checking for soft spots, making sure the track they were to follow was free of hazards and marking up the path in which to go. With everything checked out, Pat went first…the following video shows the latter part of the move. We followed shortly after, we parked up and were quickly set up ready to make our exit on Wednesday. And just as well we did move as sure enough the rain did come, heavy and plenty of it overnight as well as most of Monday which made the ground very boggy. Just like the previous week, others became stuck in the mud. With Pats tow rope it tatters from breaking the week before whilst attempting to tow out a bus, we had to improvise and twist together some rope and use the spades to dig out stuck vehicles. We had a couple of visitors before we left Matai Bay. The first were Gary & Marg whom we knew from our days in Tokoroa. Gary used to work for Roy at Kinleith and its been a few years since we have seen them so it was lovely to meet up again. 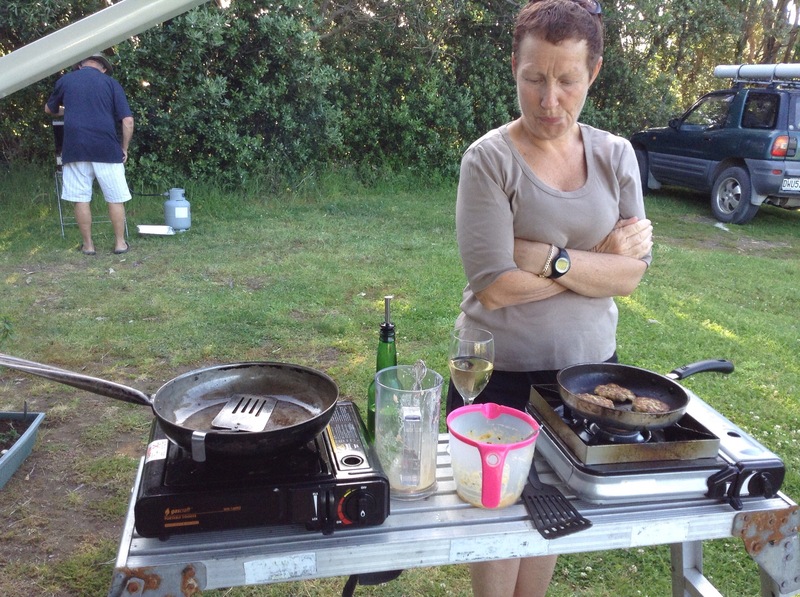 They now live at Tokerau Beach and kindly invited us, as well as Pat & Sue, along to their place for dinner on Tuesday evening so we could continue reminiscing. Our next unexpected visitor was Bernice’s brother Steve, who just happened to be in Mangonui and Taipa on business. He popped in to catch up with us and it was great to hear about his recent holiday in Bali. Then on Tuesday evening we had a great evening and meal with Gary & Marg and we look forward to a few more catch ups soon. 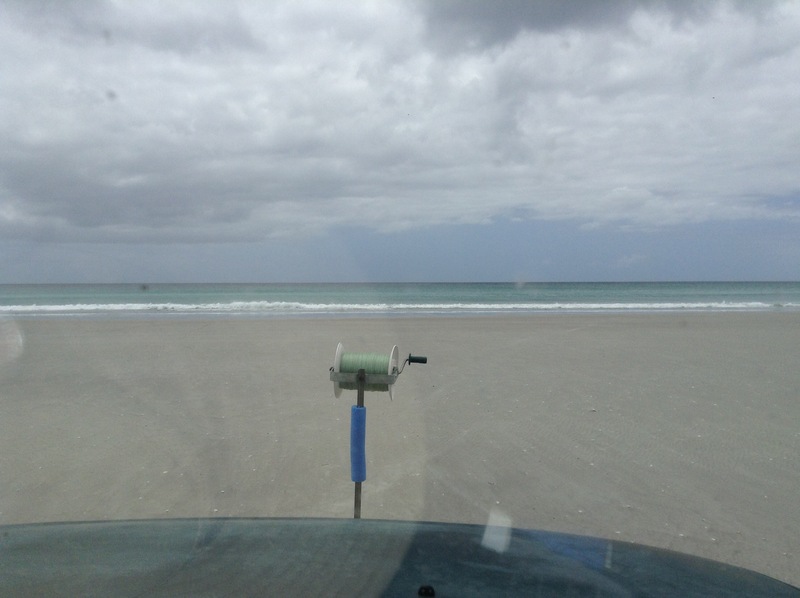 Wednesday came and with perfect weather, we reluctantly left Matai Bay to head into Kaitaia as we had a list of things to get done, appointments to keep and mail to pick up. Over the next few days we got nearly everything done and Friday we said hooray to Pat & Sue as they head across the Tasman for a break but they will be back soon to join us. Brian & Marj called in to say hello as they are currently parked in Houhora but had come down to Kaitaia for a days shopping, it was lovely to catch up with them again. Our last piece of mail arrived on Saturday morning which meant we could pack up, visit the dump station, fill up with LPG and head off. 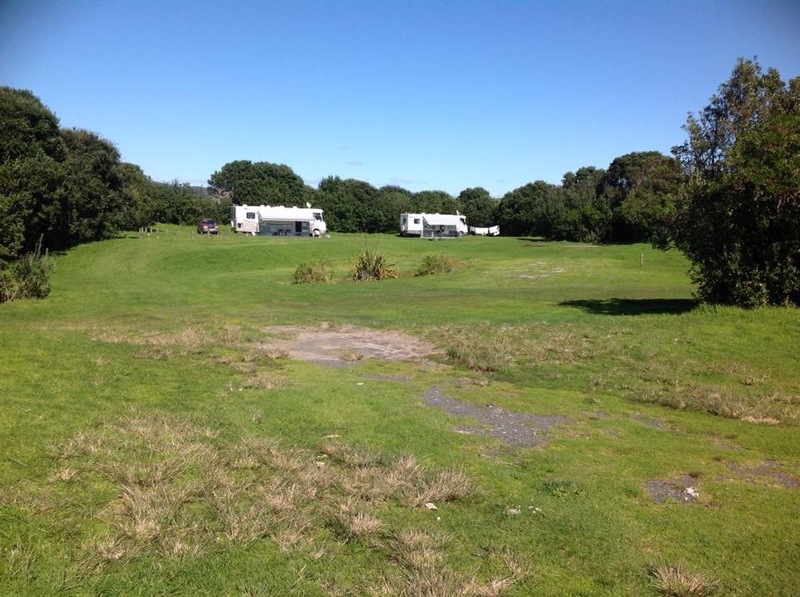 This time we were off on just a short trip back out toward Matai Bay but not quite as far, this time to a PoP (park over property) at Tokerau Beach where we shall be for the next week or so. We’re back at one of our favourite places in New Zealand, Matai Bay on the Karikari Peninsular in Northland. 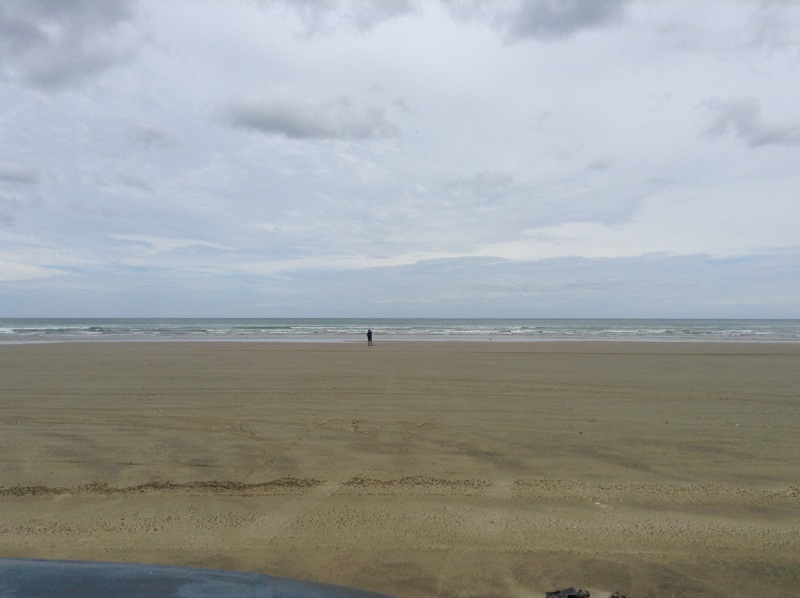 We left our previous parking place, albeit reluctantly, and headed into Kaitaia for a day to replenish the larders, book in for some work to be done, cross a few things off the shopping list, and catch up with a few people before making our way out to Matai Bay. We arrived at the DoC campsite to find that there had been considerable rain over the previous few days which resulted in lots of boggy ground with evidence of others having being stuck in the mud. We parked up in the top entrance on the hard gravel in behind Pat & Sue, so then Roy and Pat could walk around the camp site, investigating options and checking out ground conditions, including testing it out with the cars first. After about a good 45 minutes of deliberating, they came to the conclusion that yes, we could get into our favourite parking place so long as they followed the route that they had determined. Roy led the way. I have to admit that I could not watch as he drove around the perimeter of the camp to our desired spot but we were soon parked up, ready to relax, closely followed by Pat in their van. Once settled in, it was time to go fishing. 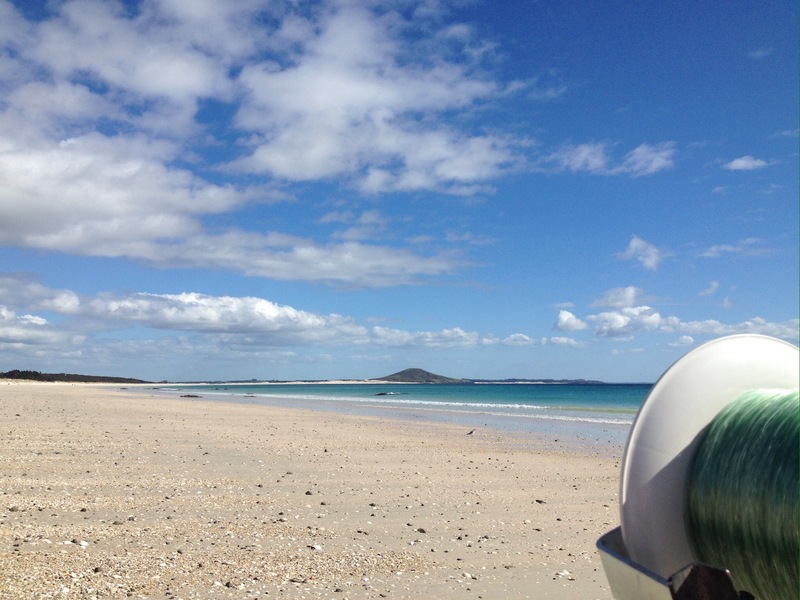 It seems like forever since we have had the kite out fishing but with the wind blowing in the right direction for getting the kites out off Karikari Beach, we all headed off over to the other side of the peninsular. Away off in the distance along the beach is Pat & Sue fishing, and just past them is Jim. We put the line out, hauling it back in after an hour or so with two fish on the line, one on the first hook and one fish on the last hook. 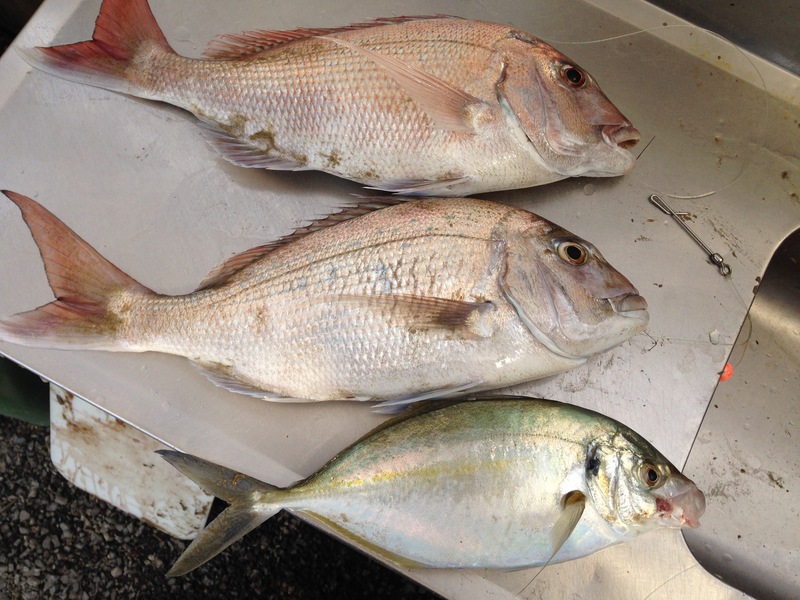 The smaller snapper was 33cm and the big fella was 48cm. Perfect, enough fish for dinner for the next couple of nights. Actually, that brings me to an aside that I have been pondering for some time now. The spelling of Snapper has changed over the years, once upon a time it was always spelt Schnapper, I wonder why or when it changed? Anyone care to enlighten me? I think it may be a little on the small side!! I am becoming really slack at this blogging lark, I never remember to take photos and there seems to be enough to do in a day to keep me busy. Of course this past few weeks has meant some very early mornings to watch rugby games, some mornings it has been a 2am start through to the 4am and 5am starts. Up until the quarter finals we have had a few people joining us to watch it live on Sky, however as the tournament has progressed then All Black games have been broadcast on free to view TV which for me has meant, no need to get out of bed to watch the games as we also have a TV in the bedroom, and without others joining us I don’t have to get up and get dressed! Roy and I also enjoy watching all the games, not just the All Blacks, so it has been a bit of some early morning marathons. In between the rugby there has also been the Netball to watch, and what with fishing and/or chores to do during the days, sleep has been in short sharp bursts!! We did not go out fishing over the long weekend though, as there was a fishing tournament on in the area, which meant there was a large number of boats out and about. We are just a little nervous these days about lots of boats around our kite lines, so best to wait until everyone else returns to their working lives. 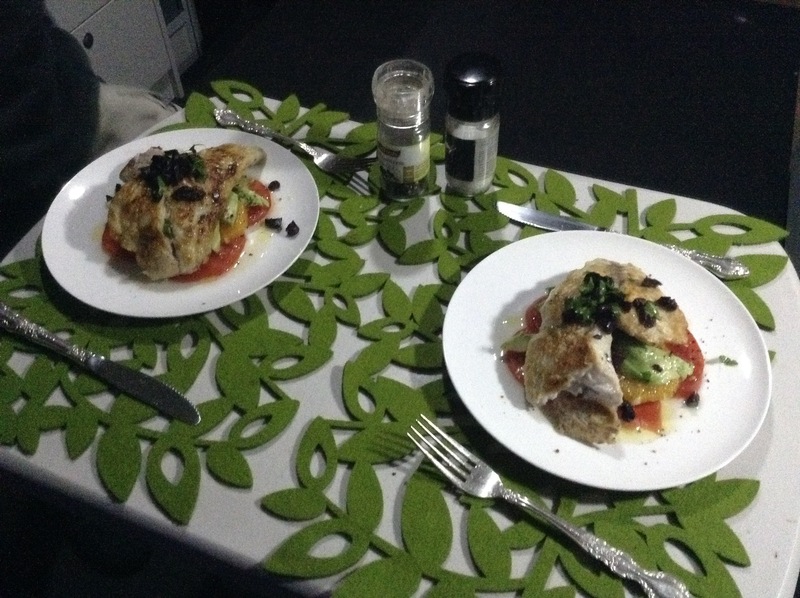 Although, that does not mean we have been without out fish, we have been given some snapper from some fellow motorhomer said, and other friends gave us some lovely fresh bluenose. 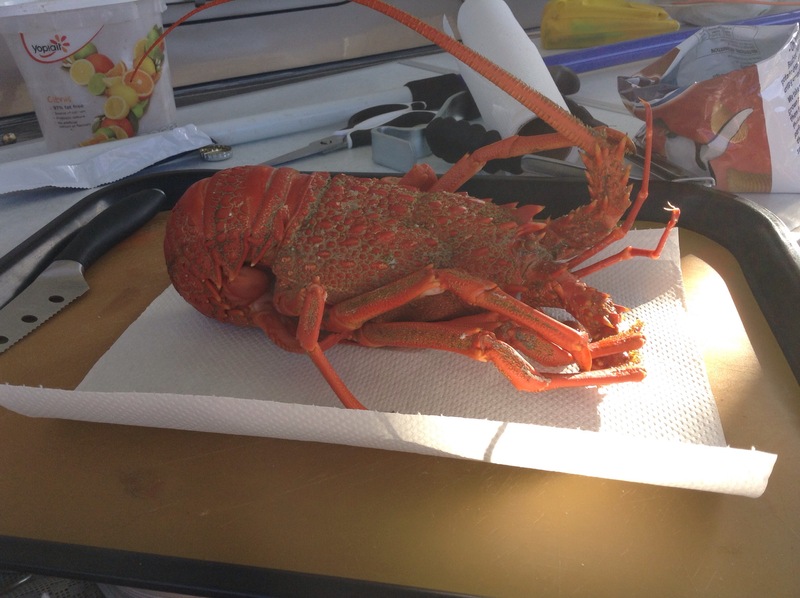 Then the other day campers who were in for the weekend gave us a lovely crayfish. Enjoying every last tasty morsel. We have managed to get a few jobs done on the van that we have been meaning to do for a while. One was to install a shelf along the back of the two seater which tidies up that area nicely…..of course I have not taken a photo of it but I will do at some stage. Outside we have gained a locker, one of the external lockers contained a radio and CD player, speakers, iPod dock, TV aerial and plug in point plus a 12v plug – the only thing we have used – we do not need to broadcast our choice of music to all and sundry, unlike some with their “doof-doof” music played loudly for all to suffer. Anyway, we have now removed the entertainment section and gained another locker, which was quickly filled with the rest of the tools and other essential bits that were scattered in various hides holes throughout the van. I have also had the labelling machine out so now everything is suitably labelled. The screen door latch has been fixed – it was not catching properly. The fishing gear has been tidied and refined and a few other odd jobs have been done. 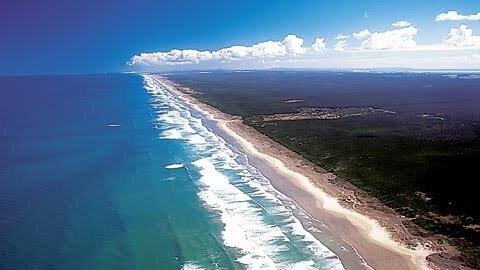 We are now in Kaitaia for a day or two as we get some maintence work done on the van, then we will be heading back out to Matai Bay and its environs to continue relaxing and fishing. It’s so nice to be back at Matai Bay, relaxing in the warmth and sunshine and generally keeping ourselves busy with one thing or another. 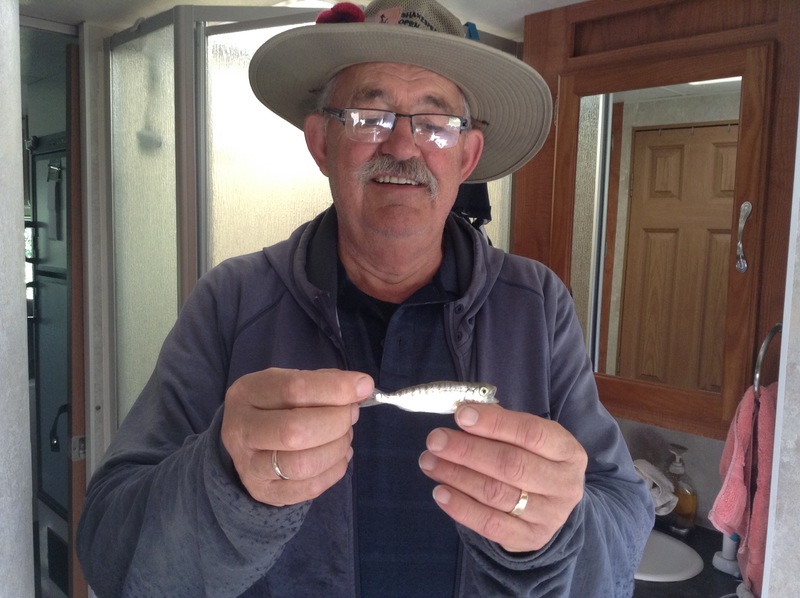 First on the list was a trip into Kaitaia to pick up the replacement fishing kite, line and accoutrements and also to check on mail that was being forwarded to us at Kaitaia as well as catch up with extended whanau. The parcels were duly retrieved from the courier depot then it was back to the van and the beginning of getting our lines sorted. 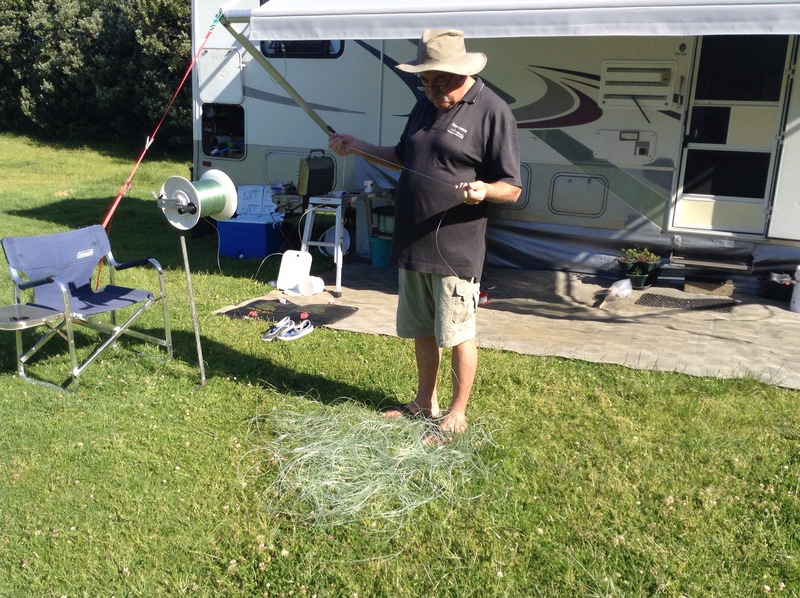 This is what the damaged kite line looks like when it’s removed from the reel. Next it was the task of joining the last of the old line onto the new line and wind the line onto the reel. The traces (these are the short lengths of line with the hooks at one end and clips to attach to the dropper rig at the other end) were put onto the trace rack and a few new ones were tied. Now it was time to try it all out and a trip to Tokerau Beach was in order, as if the fish weren’t biting, we knew that there are plenty of tuatua (shellfish) to gather in the shallows. 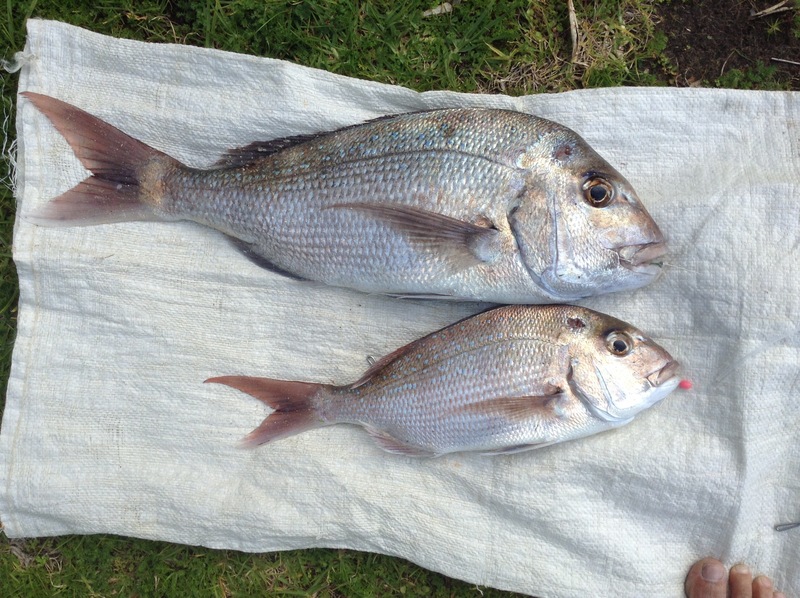 No fish were harmed in that expedition but the kite and line all worked perfectly and there were plenty of tuatua gathered. 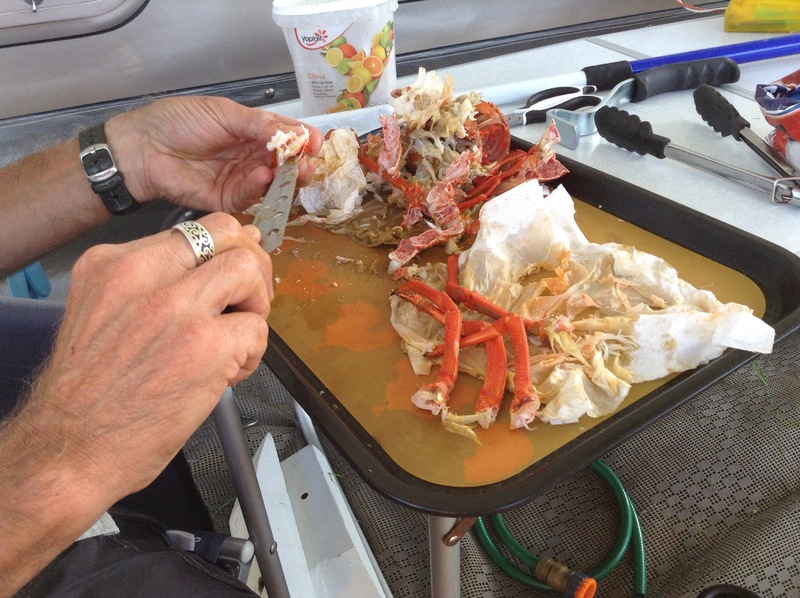 The shellfish were left in a bucket of sea water overnight so that they purge themselves of any sand, as there is nothing worse than eating gritty fritters. Sue and I made two batches of fritter mixture using two different methods and recipes – one an Al Brown recipe and the other Lauraine Jacobs recipe with Lauraines version getting the thumbs up from us all. Sue wondering who ate all the fritters? Another day and we headed off to another beach close by to try our luck fishing (we can’t tell you where as you would all want to go there) this time with much more success, with good sized snapper being caught and brought home, and a barracuda returned to the sea to swim again. Of course you will have to take my word for it as we were so busy living in the moment we forgot to take any pictures. 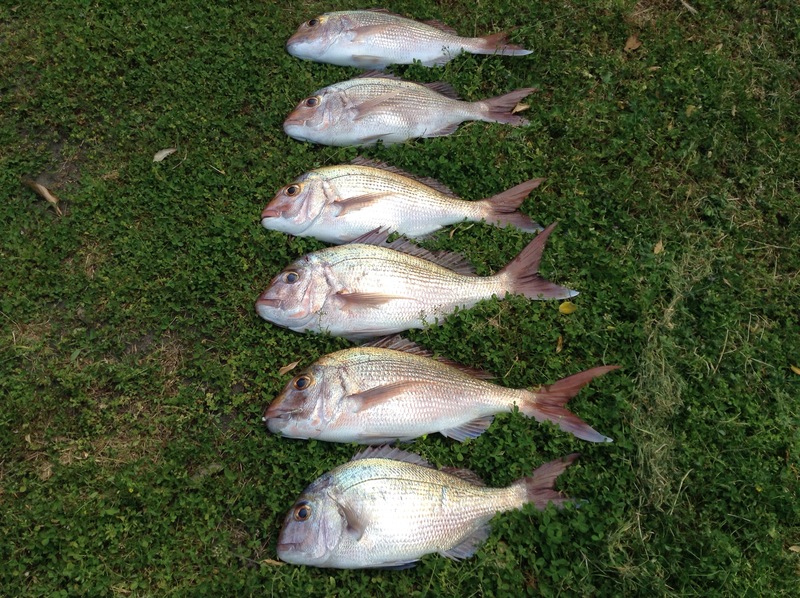 However, another day and we returned from a mornings fishing and with 6 snapper, this time I remembered to take a photo of the fish. Shame I neglected to take a photo of our delicious dinners the past few nights though, they were pretty damn good even if I say so myself!